INSURANCE is now a top priority and a key part of meetings for pork company SunPork, but employment remains Swickers' biggest challenge. 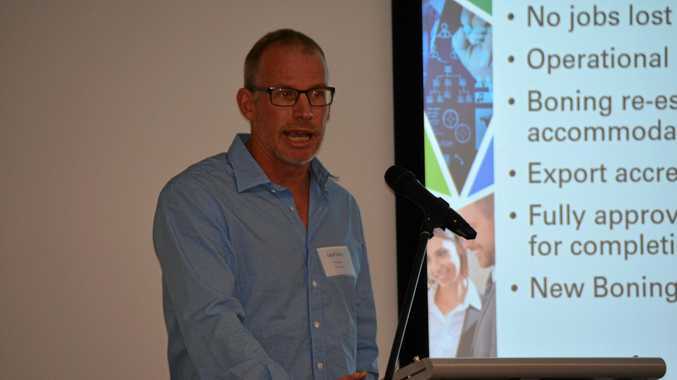 Sunpork Group CFO Geoff Miller told the WBBROC Regional Economic Development Forum attendees on October 11, this change in their meetings occurred after the Kingaroy Swickers fire. "It's absolutely crucial you understand your policy, what is covered, and what is not covered," he said. Their insurance meetings went from annually, to regular meetings to assess the insurance program for the following year. "Insurance which went from we have to do it and getting it renewed once a year, to having it become an extremely important part of risk management," Mr Miller said. The pork abattoir's entire boning room was lost after a light fitting melted and dripped down onto the plastic conveyor belt at around 7.20am on November 6, 2016. "A cleaner came in and opened the door, oxygen went in, game over," Mr Miller said. "The insurance companies talk about having fire-proof materials but if it gets hot enough, it doesn't matter, it burns." After the Swickers fire, their insurance premiums quadrupled in two years due to several similar fires around the same time. With a quick recovery, the new boning room was completed and operational in under 13 months, and construction work commenced on other abattoir additions. "Why don't we build a new kill floor at the same time," Mr Miller said. 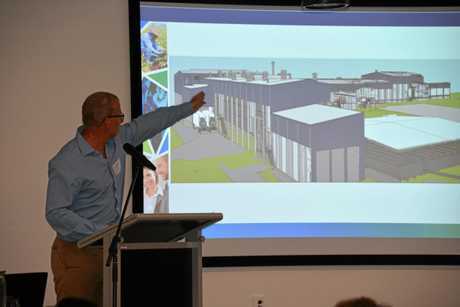 The now half-built $60 Million new slaughter floor will be a world leading facility with state of the art technology. "We're doing that because we've reached capacity, that we could not keep up with customer orders," he said. The kill floor will be a lot more efficient and Swickers will run one shift rather than two, but they will go to two shifts on the boning room. Kingaroy Swickers already employs more than 700 people, and invests more than $50 million in the South Burnett annually through wages and support for South Burnett businesses. The new kill floor will lead to significant employment increases, however Swickers has always struggled to attract professionals to the job. "We don't have enough qualified people, we can not employ people quickly enough in Kingaroy," Mr Miller said. Sunpork is looking to work with the Government to see if find ways to encourage people to relocate out to regional areas. "Kingaroy is a reasonably small town, and we're a significant employer in Kingaroy, when we expand 10 per cent, that's actually a lot of extra people," he said. SunPork attribute their quick recovery following the fire to measured, decisive leadership. No persons or pigs were injured in the fire, and there were no jobs lost. "When something like this happens, you've got to make decisions very quickly," Mr Miller said. Within six hours of the fire, the board decided they would rebuild and everybody who wanted a job would have a job. The abattoir was operational again at 14,500 pigs per week within three days of the fire, and they were export accredited within four days. They re-established the boning off-site in Ipswich within a week, and 120 staff were accommodated in hotels. Sunpork had fully approved housing for the 120 Kingaroy workers, and construction commenced for completion by February 1, 2017.